There is no doubt for why this largest religious building in the world is the symbol for everything in Cambodia; from the national flag down to a brand of a bottle of beer; it is indeed significant. The sun-kissed intricate and pronounced carvings of the walls of one of the seven wonders of the world, the Angkor Wat, gleamed in perfect display when I climbed the first step of the entrance. I felt minuscule; nestling this 1-square kilometer phenomenon is a 190 meter wide man-made moat. The lotus bud-shaped towers of the temple conceals a hidden story of the dazzling history of Hinduism. Every single corner was a treasure of history. A story that the statues illustrate spoke louder than words itself. Horizontal, vertical, triangular, rectangular spaces indicated openings that led to another realm of absolute splendor. Aesthetic Apsara dancers were found among the spectacle, elegantly coloring the black backdrop of the temple with life. 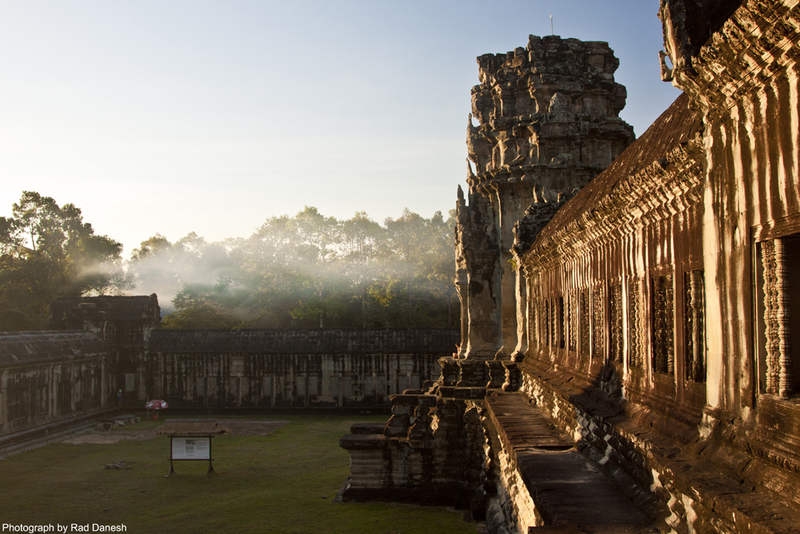 The Angkor Wat was like reality whirled by ancient fantasy and hallucination, and what was seen only reflected part of how marvelous it must have been in the past.